Oscar winner Brie Larson has reportedly called off her engagement to musician fiance Alex Greenwald. The 29-year-old actor and the 39-year-old singer dated for several years, before they got engaged in May 2016. A source close to the couple told People Magazine, "They have taken a step back from their engagement for the time being but they remain close." New 'Captain Marvel' Comic Book Series soon to launch! Marvel has announced the release of a new comic book series featuring the superhero. The comic book series, titled 'Captain Marvel', will arrive ahead of the character's big-screen debut in the Marvel universe. Speaking about the storyline. Writer Kelly Thompson said that he thinks the character is incredibly important now more than ever. The trailer of 'Captain Marvel', the first female-led superhero film by Marvel Studios, has been released. 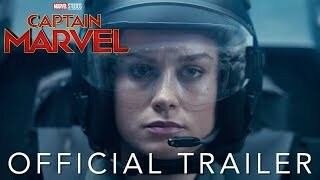 The film stars Brie Larson, an ex-pilot who gains superpowers after an accident, in the lead role. Directed by Anna Boden and Ryan Fleck, 'Captain Marvel' is scheduled to release on March 8, 2019.